The Upper School had an incredible time attending our annual Young Shakespeare Workshops earlier in the week. This event is always highly anticipated by the girls and great fun was had by all. Our workshop leaders, Emily and Andy, were extremely impressed by the behaviour and phenomenal imaginations of our Glendower girls. Y6 were able to partake in a discussion usually aimed at GCSE students. It was wonderful to see them speak with confidence; articulately justifying their thoughts on the characters and various elements of the plot. Highlights included . . .
– Fairy teams led by Peaseblossom, Moth, Cobweb and Mustard Seed creating gifts for Titania to give to Bottom. The Cobweb team (led by Emilia (Y3) made a web hammock. – A stunning performance of Hamlet (played by Katerina Y4). Her use of “shoecat” accompanied by wild laughter and punctuated by fits of tears was superb! – Mercutio’s dramatic death after fighting Tybalt. Mira (5M) was the perfect choice to play Romeo’s witty friend who laughs in the face of danger. – The battle at High Dunsinane hill: Y6 threw themselves into this re-enactment with their characteristic energy! 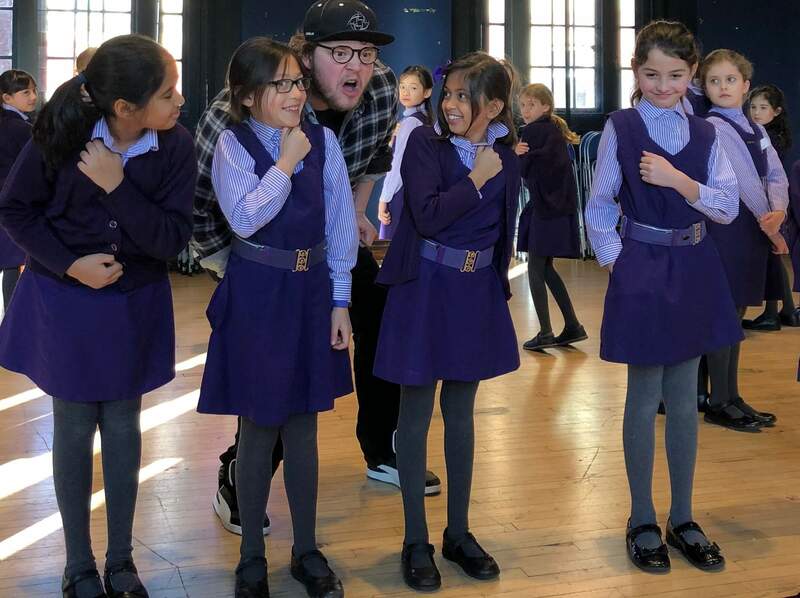 We look forward to welcoming the Young Shakespeare Company back in 2020!